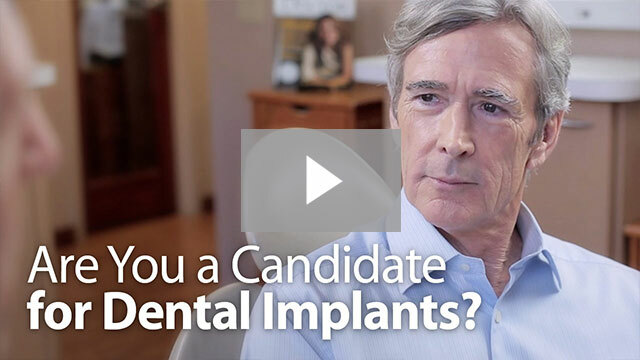 So real, no one will know you’re wearing a dental implant – including you! A dental implant looks, feels and functions just like your own natural teeth. 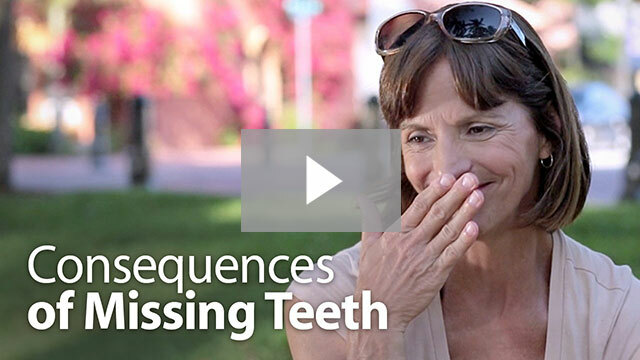 You don’t have to live with the embarrassment of missing teeth – get them replaced with dental implants! A dental implant is a permanent replacement for a missing tooth. When teeth are lost because of disease or an accident, dental implants may be a good option. Dental implants look, feel and function just like real teeth. Dental implants are titanium rods placed inside of or just on top of your jawbone to take the place of the missing root (and prevent bone loss). Your replacement tooth or bridge is then attached to the implant. Your bone and gum grow around the implant just like they would a tooth, making the implant virtually undetectable to anyone but your dentist. No. We make sure you are comfortable with the proper numbing medications. After your procedure, we’ll send you home with a prescription for pain medicine if you need it. You're never too old for implants! 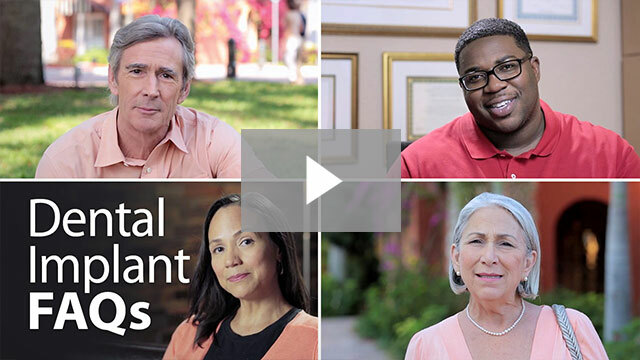 We’ve heard of patients in their 90's having great success with new dental implants. With proper care, dental implants can last a lifetime! That’s a great advantage over dentures, which can have a lifespan of as little as 5 years. Since dental implants do not require support from adjacent teeth, they strengthen your jawbone, preventing bone loss and keeping the structural balance of your face. Patients who receive dental implants will not often experience increased tooth decay, gum disease, or tooth sensitivity-as is sometimes the case with other teeth replacements. Dental implants have a success rate of 95 to 98% and are a permanent solution to replacing teeth. 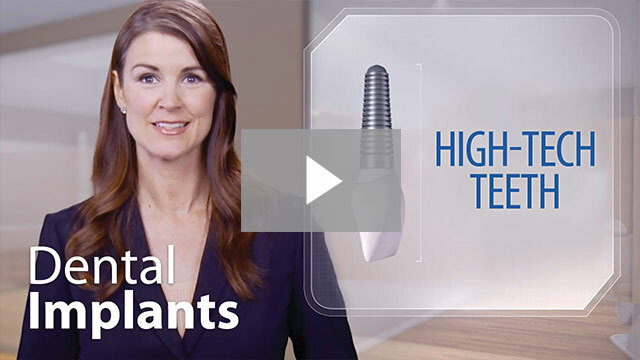 Dental implants can be used to secure dentures or partials, which gives you the benefits of implants and dentures, especially if you need to replace several or all of your teeth. With consistent oral hygiene, regular checkups, and good follow up care, teeth whitening, your implant enhanced smile will last a lifetime.